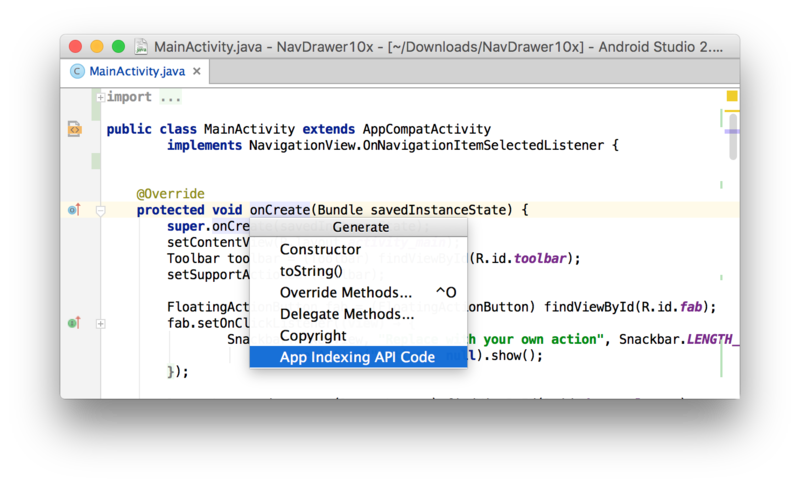 Android Studio 2.0, which was released a few days ago now supports integration with Google App Indexing. 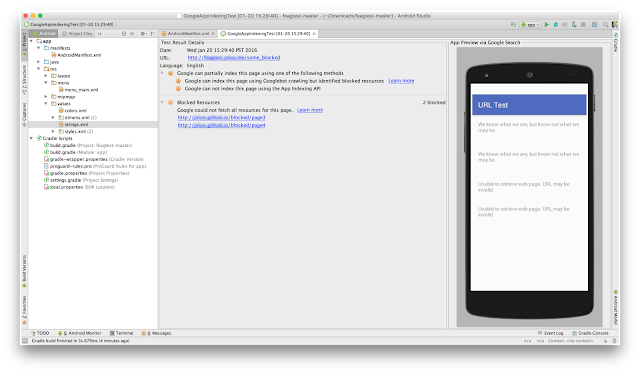 Google App Indexing Integration & Testing has been added directly to the studio. If you "add App Indexing into your app helps you re-engage your users," says Google. "In the first preview of Android Studio 2.0 you could add indexing code stubs into your code. With the beta release you can now test and validate your URL links in your app all within the IDE." Pretty cool and it should help tremendously with developers adding App Indexing support in their Android apps.